Rubbish Bin Sticker. Change and Pimp your garbage if you are tired of seeing always the same. Fun stickers to decorate and give glamor to your trash can. 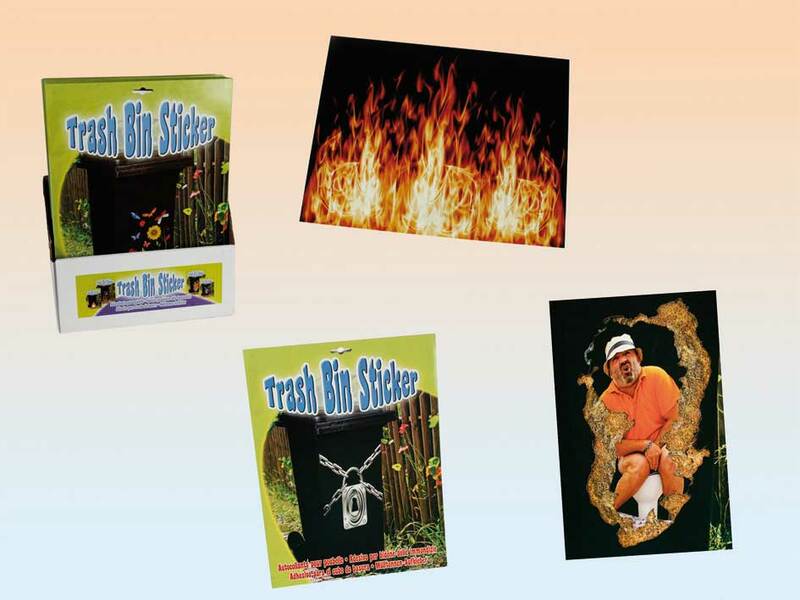 Funny and original stickers to decorate your garbage can. Give a touch of a garbage can. Several models of adhesives available: caganer, flames and key.